April 1, 2012 - PRLog -- (Baltimore, MD) Baltimore Net Radio will again stream a live birthday tribute for America’s Sweetheart, Doris Day on Tuesday, April 3, 2012. 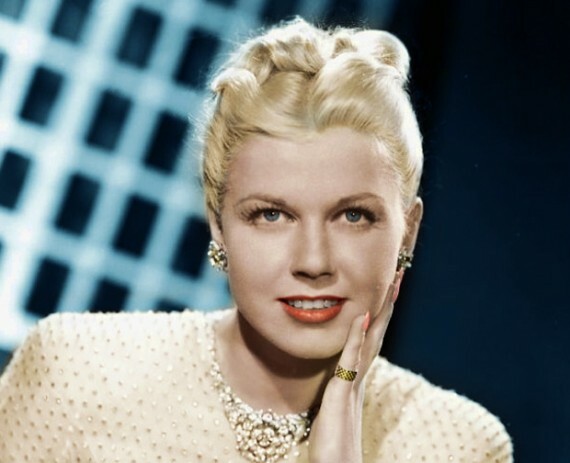 Doris Day's music will begin streaming world-wide at 12:01 AM on April 3rd and continue throughout the broadcast day. However, beginning at 3pm NYT, a live stream will air with your host Keith Angstadt, veteran DJ whose career dates back to WHFV-TV, an affiliate of NBC-TV where Keith was the VP, General Manager, and Director of Technical Operations. All of this will be streaming world-wide from http://www.baltimorenetradio.com. This celebration will honor and pay tribute to one of America's most beloved artists best known for her films and extensive recording accomplishments spanning five decades. In addition, Baltimore Net Radio will be giving away several copies of Day's soon to be released CD "With A Smile and a Song," courtesy of Sony Music, as well as the Turner Classic Movies (TCM) box-set inclusive of Calamity Jane, Please Don't Eat The Daisies, Love Me Or Leave Me, and Romance on the High Seas, courtesy of TCM . All give-aways will begin at 3pm NYT. Listeners may submit their name, mailing address, and a valid contact number to be entered in the drawing for the CDs and DVDs to: doris@baltimorenetradio.com. CDs are open to entrants world-wide; DVDs are Region 1 (USA and Canada) and Baltimore Net Radio will accept entries from USA and Canadian residents only for these DVDs. Also, a very special give-away will be announced between 3 and 5pm NYT on April 3rd. Listeners must tune in between 3 and 5pm for the "clues" associated with the special give-away. Be ready to call-in live to this exclusive number of 410-246-5464. All winners will be announced between 3 and 5pm NYT on April 3rd, 2012. If you would like to extend a personal greeting to Doris Day on her birthday, you can call the station to leave your message. Within the USA, call toll-free 877-577-2630 Ext. 224; International callers may call 410-246-5464 Ext. 224. You may also e-mail doris@baltimorenetradio.com and we will read your greeting during our live broadcast. Remember the great days of Radio? Remember listening to the golden music of Doris Day, Frank Sinatra, Rosemary Clooney and all the music America loves? Listen live at www.frednetradio.com to "The Greatest Music of All Time!" "Classic" Country Music Coming To Fredericksburg Network Radio on the "Country Corner"